V50 is an all-digital black and white ultrasonic diagnostic instrument for animal, with high cost performance and good stability.The model supports convex arrays, micro-protrusions, rectal probes, has rich animal and conventional measurement packages, and is built with a large capacity rechargeable battery.The model adds a dual-probe jack motherboard to the original XF30A, adds 16 pseudo-color display modes, and supports video printers, external VGA displays and USB ports. T65R13BN type cavity probe: ×0.8, ×1.0, ×1.2, ×1.5. M type speed: M type scanning has eight kinds of speed can be selected. 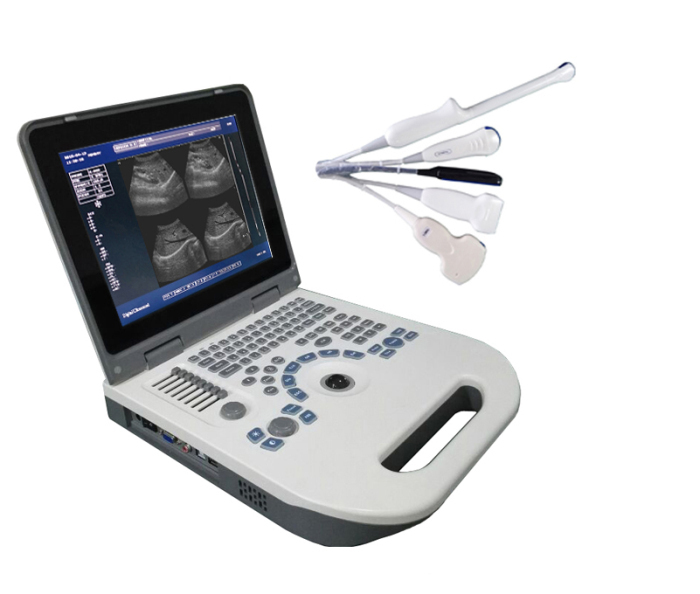 T50R20BN typemicro-convex probe real-time scan: 3.5 MHz/4.0 MHz/4.5 MHz/5.0 MHz four periods of frequency conversion. 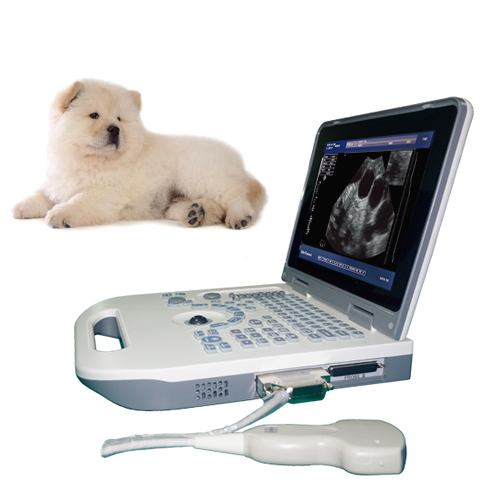 Measuring function: Distance, circumference/area (method of ellipse, method of loci), volume, heart rate, gestational weeks (horses, cows, sheep, pigs, cats and dogs and other animals, ), expected date of confinement and fetus weight, etc. Standard configuration: 1 host; 1 T35R60GZ convex array probe. Optional configuration: T65R13GZ type cavity probe.